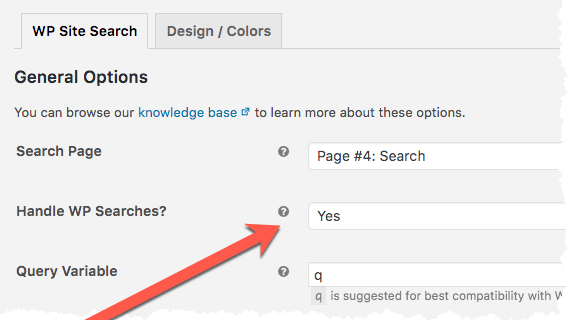 WordPress comes with its own built-in search functionality but that functionality is limited — it's certainly not Google! WP Site Search is powered by the Google search engine, so once you have WP Site Search configured and Google has crawled your site, it's a good idea to redirect default WordPress search engine queries to WP Site Search Pro. Note: This option is enabled by default.